An RV Slide-in Camper Will Let You Drive Just About Anywhere at anytime of year! 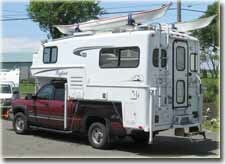 The RV Slide-in Camper is probably the most versatile vehicle on the roads today! It's a combination of two different vehicles into one - a pickup truck with a camper body mounted inside the bed of the pickup truck. Dealing with only the one actual vehicle while driving, it can be driven pretty much anywhere your pickup can take you. If it is a 4x4, you can really go "off the grid"! As in anything - there are some negative issues! There have not been any form of "standards" or "minimums" established for what capacity vehicle you must have to mount a slide-in camper. If you look, you'll notice some vehicles just couldn't possibly be "safe". Starting in the model year 2013, they will all finally have a standardized rating. What will the standardized test be based on? The new SAE Industry standard will involve acceleration, braking, towing up a steep grade in 100-degree temperatures, understeer and stability. All of this translates to not only how much tow you can stick behind your truck, but how much you can safely load onto your pickup truck bed. You can bet insurance companies are happy to see the standard, but likely means you'll be scrutinized closely if you're "overtowing" the rating of a new rig and you get in an accident. As in any good thing, the RV slide in camper is getting bigger and fancier as well! We've even seen them on large commercial utility type trucks that are probably taken to a remote work site as a 4 x 4 so a worker can get to and from that location and still live there comfortably! Here's a page that explains the testing done in various conditions to certify trucks to these standards. A really cool feature of this arrangement is the fact that the slide-in camper is designed to come easily off the pickup truck bed. That means, you can go to your campsite, take 5 minutes to unload the camper and drive the pickup truck only into town or wherever you chose - without the big camper behind you! While it is a great idea to have a "portable" RV slide-in camper, it can be very dangerous, as well! Be sure to consult your pickup truck manufacturer FIRST, before you purchase or attempt to install a slide in camper. Very specific slide in anchors and slide in tie downs must be used - depending on camper brand as well as truck brand. There are several companies that offer a great selection of anchors and tie downs, for your specific RV Slide IN Camper. Tow Shop has been around since the early 1980's. 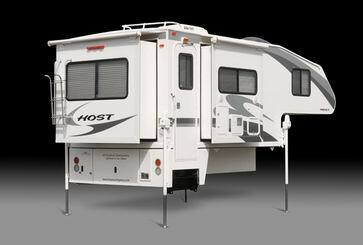 They are a great source for regular campers & 5th wheel accessories, as well. Another great company is TorkLift International . They will match your exact vehicle to it's exact slide in camper and then tell you what you need. First Class Company! Another famous company for RV slide in camper anchors and slide in hardware is Happijac . Any of these three companies can help you decide which product you like best and suits your particular needs. Your RV Slide-In Camper is an important recreational vehicle - make sure it is safe and secured! Need Accessories? Here's a great source. Artic Fox Really Cool Feature! Gary Bunzer, The RV Doctor, did this video with the folks at Northwood Manufacturing about getting in and out of a Slide In Camper - Fabulous Solution! We are an Amazon Affiliate. As an Amazon Associate we earn from qualifying purchases. We also have these very RV friendly Affiliates below. We earn a small Affiliate Fee from qualifying purchases. RV'ing - Fun, Freedom & Adventure - Isn't That What Living is Supposed To Be?